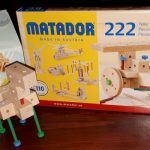 This next must have toy is a great indoor activity that will keep your children busy for hours! 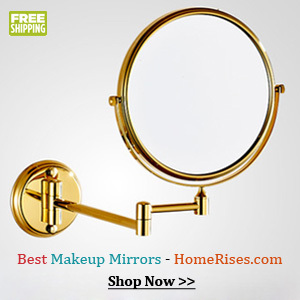 It is perfect for the chilly days of winter when it is too cold to place outdoors. 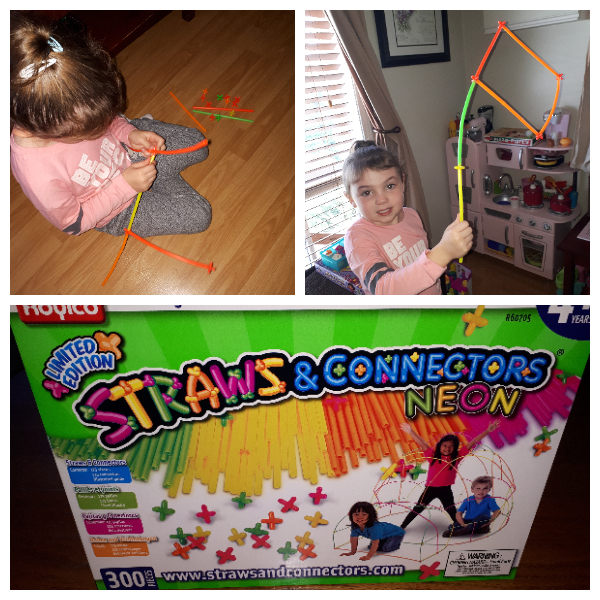 Recommended for ages 4 and up, Roylco Straws and Connectors is a economical building set that will have children building houses, forts and more. They are a very simple concept really. The Straws and Connectors are exactly what their name implies: straws and connectors. The straws are bendable, flexible, and you can cut them to any length. The connectors can join six straws together at 90º angles, so there is no limit to design possibilities. 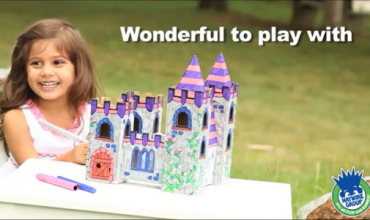 In the instruction booklet there were many examples of endless possibilities for creative building, and children are free to use their imagination. Roylco Straws and Connectors easily come apart and can be stored away, therefore, they don’t take up much room when not in use. The design you think would be rather simple to use. You simply attach a connector to the end of the straw, and you are on your way to building yourself a huge bird cage. That is not quite the experience that we had. Upon first use we found the straws and connectors did not fit together well when making circles. The connections kept coming apart every time we attempted to build something. After several attempts the straws loosened up and became easier to snap together. Therefore, I recommend bending the straws before use when making circles. I did bring this to the company’s attention and they will be correcting the issue and making the material easier to work with within the next few weeks. 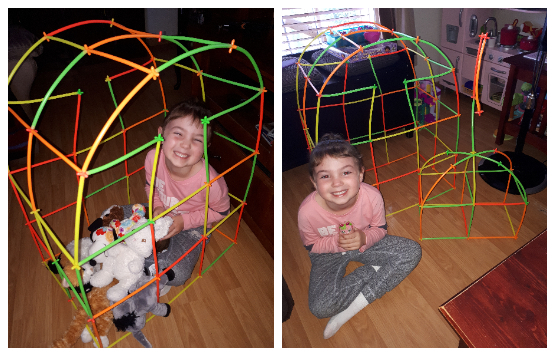 My daughter had a great time doing small, simple works of art, while my husband used the Straws and Connectors to make her a large bird cage. As building toys and construction sets go, I think Roylco Straws and Connectors is pretty brilliant. We have the 300 piece set. Royclo Straws and Connectors would make a great Christmas gift that would last long after the holidays are over. How about your family? What do your kids most like to build with? Now is the time for a giveaway. Winner will receive one Roylco Neon Straws & Connectors Set Building Kit which will be shipped to them by the company. 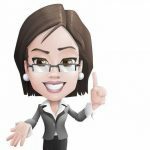 Giveaway is open to Canadian residents 18 years and over. One person per household may enter. I am so glad you were truthful about the use and how hard to use they were at first. I really love how they can be manipulated though to make different shapes that is always great for a child esp like mine whose imagination is way out there. 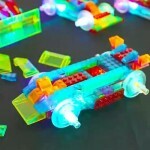 I like that with the Roylco Neon Straws & Connectors Set Building Kit, your child can potentially build anything they want. I love that it encourages children to be creative, especially when kids are more into technology than other. I love how they encourage imaginative play!! I have a 6 year old daughter who is very focused and only plays with this type of thing, it would be great for Christmas. 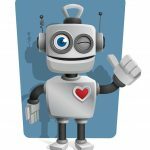 Any toy that encourage children to be creative and use their own imaginations to create things are products that are desperately needed in our current digital society. This actually reminds me of Tinker Toy. Our grandsons would love this set. 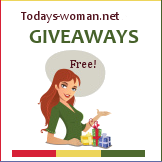 Thanks for offering this super giveaway opportunity. A fun gift for my nephew for Christmas. Kids need to play more and to be creative. This is perfect. I really like that it promotes creativity and analytical thinking but not a big fan of the space that its going to take in my small house. I think these would be a lot of fun for all the littles in my life. They are very creative already and I’d love to see what they’d build with these! These little have big imaginations and i love bringing home toys that encourage that kind of play. It’d be hours and hours of fun! I’m a big fan of toys that inspire and require creativity and I’m also a big fan of toys that don’t take up a lot of space when not in use. I really like that the straws and connectors are great for kids to play with in groups and it’s totally something parents can join in with. I like this toy because it can be so many different things depending on a child’s imagination and likes. I think building toys are always good for children because they entertain them for so long and adults can play along with them and interact. I think they’re a great development tool for children. this is like a miniature version of our fort kit! Possibilities are endless, and my kiddo loves to build and create! Definitely something I’d like to put under the tree this xmas! My nephews have a set something like this and it is amazing what their minds come up with to make. Would love to get my grandsons a set. I have not used these yet, but as a teacher I could see lots of possibilities. What a great way to teacher three dimensional shapes or structures. I love that these would inspire a lot of creativity in my boys. I love that this inspires creativity and is a toy children can play with together or alone. I like the size and color of the straws and that they can be made into large projects. They seem to be bendy to make unique designs for children. These look like a lot of fun. I would enjoy sharing in the fun with my kids with these straws. So many things to make and build. We are aiming at less electronics and more creative gift options this year. These look like my daughter could spend hours making new things. Thanks for the idea and chance to win! I have not seen these before. It looks like a great product that would supply hours of entertainment. Great for the imagination. very cool!! looks like a lot of quality play with this….would have a blast with my young nephew building and playing lets pretend…. The Roylco Straws and Connectors would bring hours of creative fun for the grandkids, , I like to see them play together and have fun! Love to see what ideas and creations they would make! We actually have some of these and I’m waiting for my grandson to ‘grow into’ them! This looks like great kit! My nephew would love it! He loves building things, he’s very creative. This would definitely be his type of toy! I think they are really great, love that it is not something electronic and encourages them to use their imagination and fine motor skills. Would make a great gift, love these type of toys! I really like that they are actually bendable. The possibilities increase when it comes to what they can build. My kids would love this! They love building toys! I like the fact that a child’s imagination can build anything they want with them. The possibilities are endless! And, no batteries required! 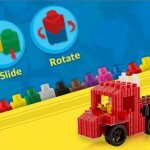 It is great to see creative toys like this for children. It makes them think and learn how to solve something with out getting upset. It also makes them concentrate and learn motor skills. Love it. I adore this. It’s a non tech option for kids to harness their creativity and have fun! The possibilities are endless with these, kids love building and I love that they can build themselves a fort with this, that is what my granddaughter would do! 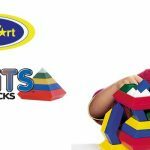 Hi,I actually just recently heard about these from my daughter she was talking about getting them for her son and I agree the kids can certainly be creative with these. These are cool, would make a great skeleton for a fort, throw on a sheet and viola! !